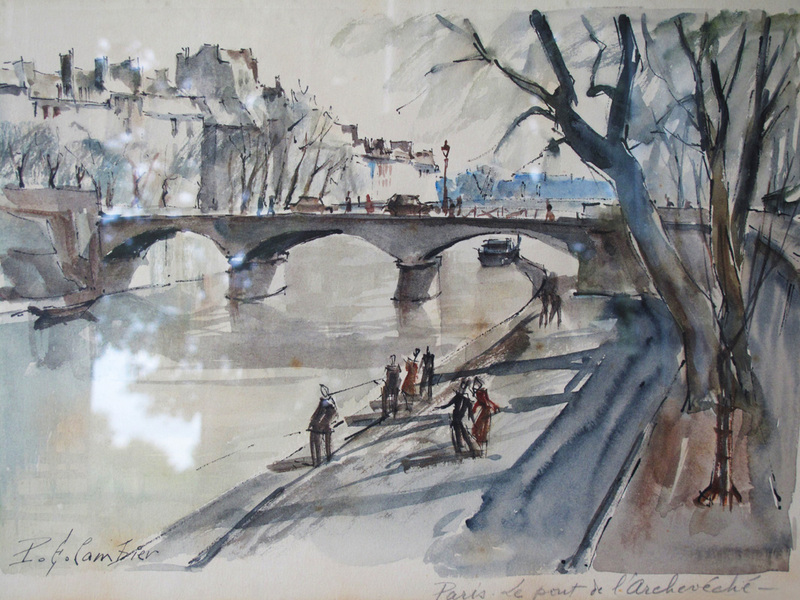 A Lovely watercolour by the famous French artist, Pierre E. Cambier. 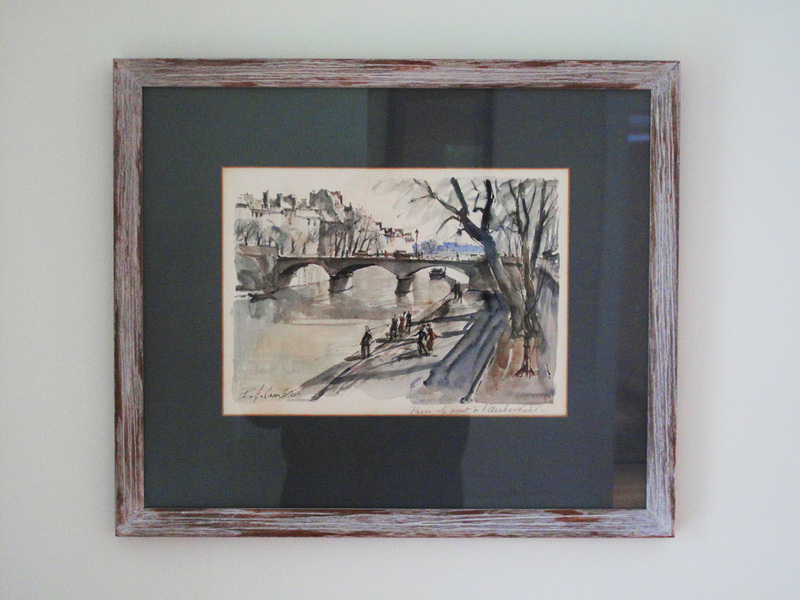 Offered in a lovely old frame with wavy glass. 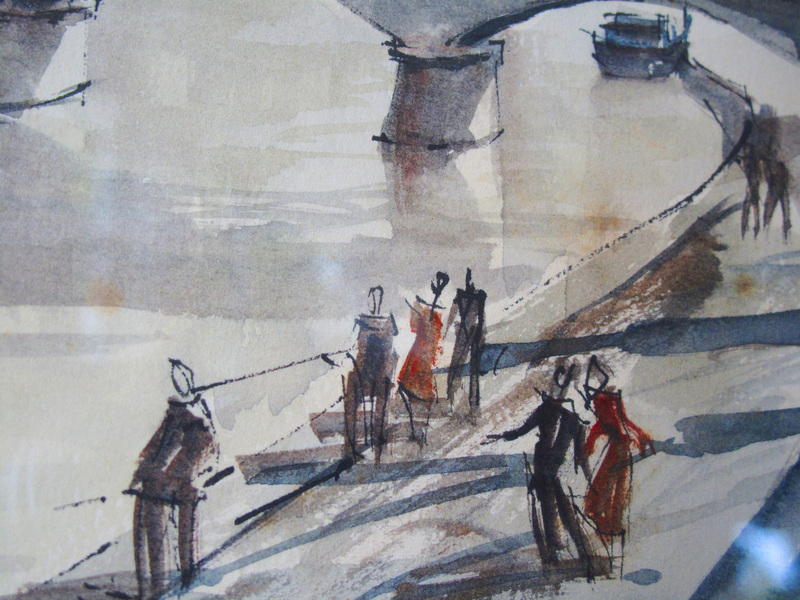 It’s a fine example of his work and exhibits a lively composition in brilliant colours. 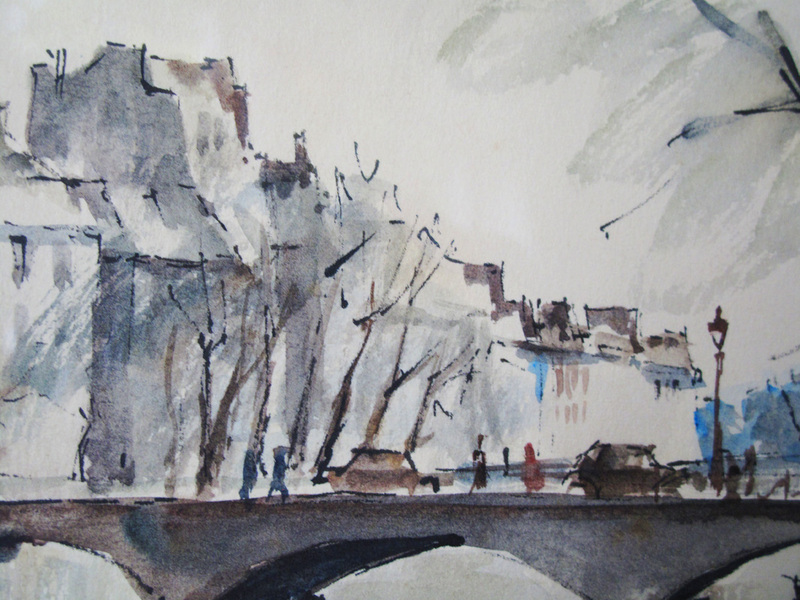 Signed in ink or watercolour and titled in pencil by the artist. Please be in contact for shipping and handling charges. International shipping is offered.